Wow, It has really snuck up on me how long I have been away from the blog but it's been a busy month. 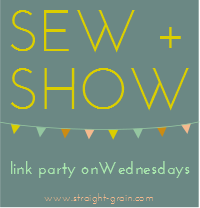 Going back to work, an endless stream of colds and a teething two year old has meant I haven't had as much time for sewing and blogging lately. I've also been sewing a bit for myself which always takes a bit longer to get the fit right. Anyways I'm back. 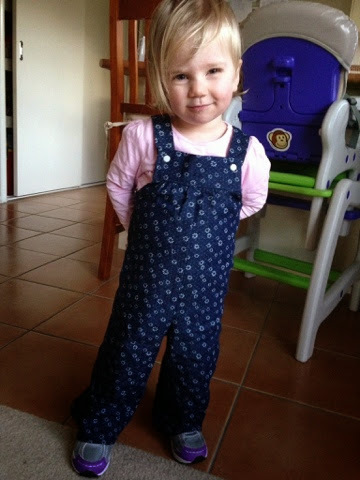 I've blogged before about the short version of vintie overalls but a while ago I'd made a version of the long ones. This time I left off the ruffle sleeves as I wanted it to be easier to layer in the cooler weather. I used some denim I'd had laying around for a while and they turned out very cute. This is one of those outfits that as soon as it's washed she's wearing it again. They went together easily. There are a couple of ways to sew the underarm seam and I went with the laziest, just overlocking it and turning it under. Next time I think I'll try another method to give it a nicer finish. 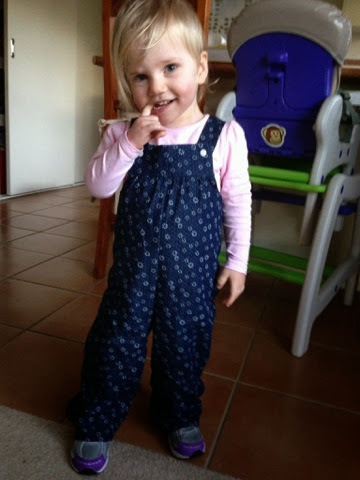 The pattern was the vintie overalls from Tadah patterns.